Second Prince of Xi Xuan – half of his life is glamourous and wild, half of his life is tragic and woe. Born in Xi Xuan but buried in an unnamed hill at death, unable to afford, his very own coffin. – Yuan Tu, Great Fortune Teller of Xi Xuan. Life is always like this! He can never get what he wants, including this woman! He has always held her in respect and has even chased after her before. When he fell from grace, he did not implicate her, so what deep grievance does she hold against him, to trample him to the ground like this? Since she is ganging up with that man to realize the woeful half of his life’s prophesy, he swears to himself that he is not going to make her life easy. Even if it is for just one day, he must live longer than them and witness their end! Why when she is finally about to die, when Xi Xuan can no longer boast of their fabulous Xu Zhi, why did he nearly go crazy with grief? No, he is not going to let her die! Xi Xuan needs their Grand Scholar and he must let her witness the demise of that wretched man before he breathe his last! “Just a Straight Road” is actually the fourth book in a series. The author first wrote “Just an Empress” which is a story about Xu Da and Li Rong Ji. The first story narrates more about the political divide at that time – where 4 nations co-exist with each other with Xi Xuan (located in the West), Bei Tang (located in the North), Da Wei (located in the East), and Nan Ling (located in the South). It also talks about the glamorous Xu sisters who lives in Xi Xuan. The eldest sister is the Grand Scholar Xu Zhi (“Zhi” – pun on the word “Straight”), the youngest sister is Xu Hui, General-in-training to lead the much-feared “Demon army”, and Xu Da, the middle sister, is “destined for a smooth-sailing life”. Apparently, “smooth-sailing” is a dirty word to Xi Xuan people who likes action, and Xu Da is heavily discriminated when she is in Xi Xuan. The second book “My Girl, Shun Hua” bears no relation to the first book and is set in Bei Tang 500 years after “Just an Empress”. The third story “Nan Ling Ah Nu” (Ah Nu, Slave Girl from Nan Ling) is set in Nan Ling in a time zone somewhere between the first and the second book. 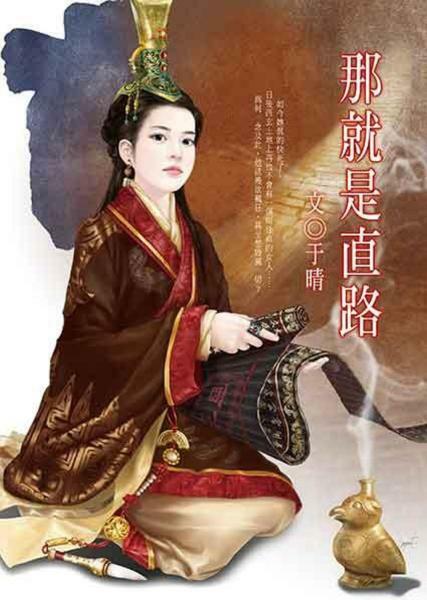 I am really excited Xu Zhi is getting her own book and better yet, that she is not merely a cold, ambitious woman that she is portrayed to be in “Just an Empress”. I look forward to sharing with you!